Diamond in the Rough: Ford Bronco...Bruiser On A Budget? I’m a sucker for a good deal, but I’m also incredibly frugal with my hard-earned dough. Like many of you, I am constantly scouring Craigslist and eBay looking for my next used 4x4 project vehicle. Over the years, Craigslist has become a better source for inexpensive 4x4 projects over eBay, mostly due to proximity. Recently though, I’ve transitioned back to eBay in hopes of finding slightly nicer and rust-free specimens. My budget for new projects is typically around $5,000, which actually brings up a fair amount of solid 4x4 options. Here are some recent examples of great finds for those in the market. This 1951 Willys Pickup is located in the rockcrawling Mecca that is Moab, Utah. I would definitely consider this a great project, since it’s not exactly a turn-key machine. The seller states that it currently has a Cummins diesel under the hood, but it will be removed post purchase. He does mention that he will keep it in place for an additional $4,500 above the purchase price. While the 3.3L Cummins is plenty reliable, I would be fine with letting him keep it in favor of a lighter and more powerful modern V-8. 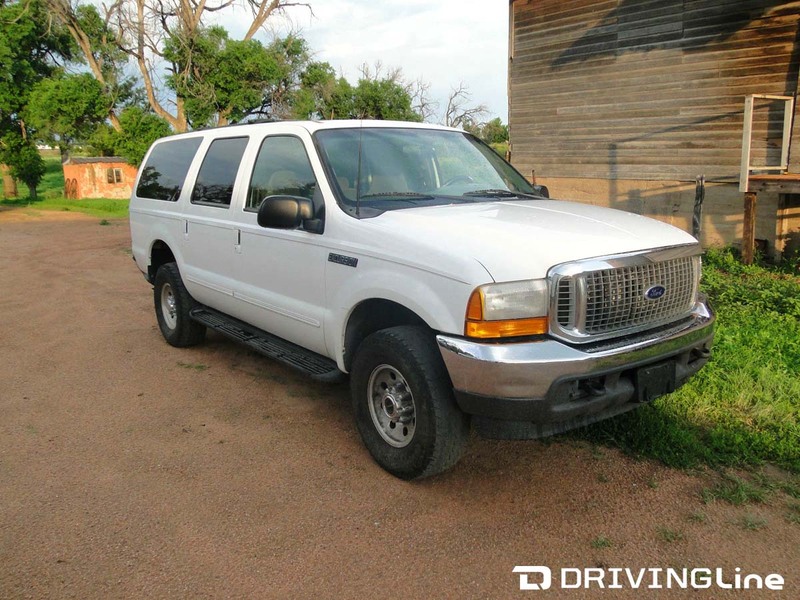 You can check out the listing here: http://ow.ly/OW8DN (NOTE: The photo of Suburban shown is NOT the same one listed on eBay). 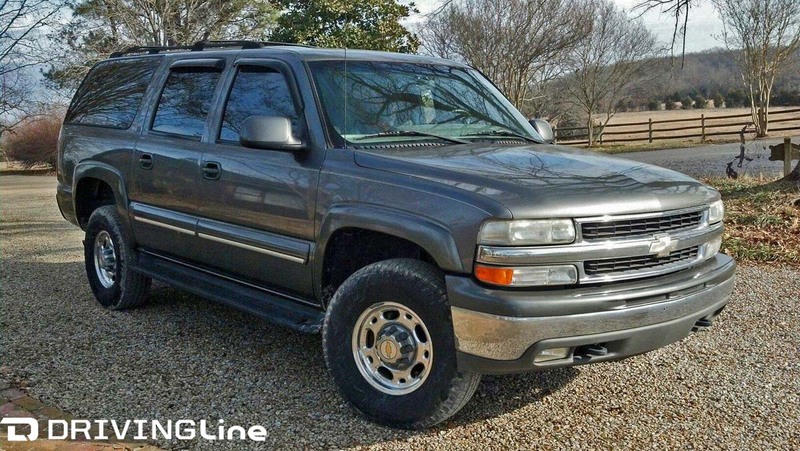 I’ve always wanted a ¾-ton Suburban as a tow/camping rig, but they are usually out of price range. This 2001 Chevy 2500 only has 145,000 miles, but it’s from New Jersey. Hey, there’s nothing wrong with Jersey, but as is evident from the photos, you can expect the underside to have plenty of rust. Since it’s paired with the massive 8.1L V-8, it’s still alluring. Ultimately, I would remove the original independent front suspension in favor of a solid-front axle, which would make it tremendously more reliable for my intended off-road adventures. At the end of the day, I’m just not sure I can look past the rust. 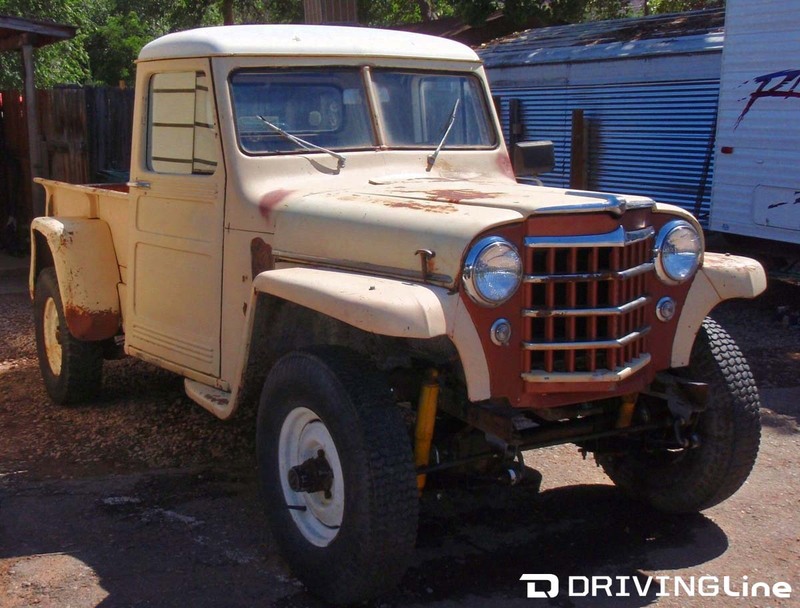 Click the link to make your own decision: http://ow.ly/OWaCZ When I see a vehicle is being listed a located in California, it usually means it’s rust free and the owner probably wants too much! The 1983 fullsize Jeep Cherokee you see here is one of my favorite Jeeps of the time period. The two-door simply looks clean and this model has a lot going for it. I would add a fuel-injection conversion to the 5.9L V-8, spend a little money on fitting 37s and upgrading the suspension, and add some chromoly internals and lockers to the Dana 44 axles. For me, the lack of radio, A/C and carpet wouldn’t be a deal breaker, as each can be easily remedied. With a $4,000 Buy-It-Now price, it isn’t dirt cheap, but far from outlandish. Check it out here: http://ow.ly/OWdn3 I can’t explain why I like land yachts, but I do. One of my favorites is the Ford Excursion. The 2000 model year you see here is fitted with the massive V-10 engine, which has plenty of gusto to move the miniature school bus down the road. The leaf-sprung 4x4 is extremely easy to work on and upgrade. Another bonus is massive aftermarket support. Since it is a 2000, it will mostly like have a high-pinion Dana 50 front axle, not the stronger/more desirable Dana 60. While the Dana 50 is plenty strong for up to a 37-inch-tall tire, I would still swap in a junkyard Dana 60 front from a Super Duty. If you want to carry around loads of people and need a place to load a month’s worth of gear, at $3,900, this Excursion is a great find. Check out more here: http://ow.ly/OWfvk Can you live with a barrage of O.J. Simpson jokes? Well, this white Ford Bronco is looking for a new home. 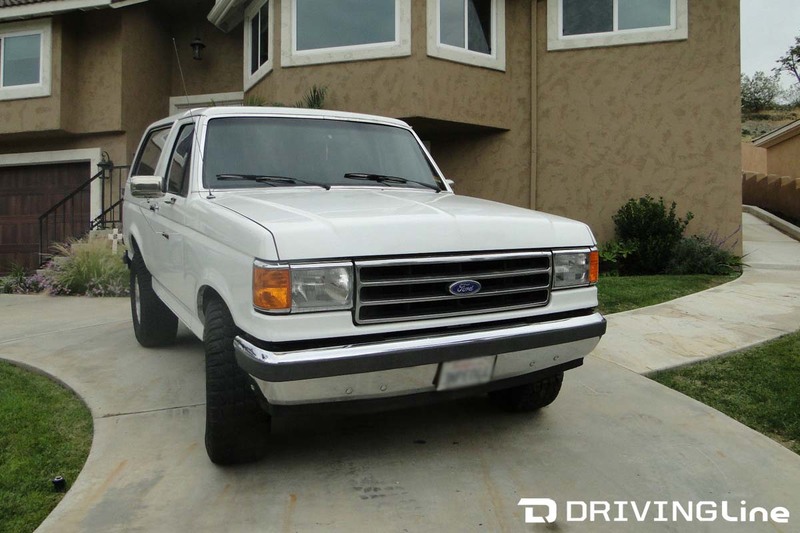 The seller lists a clear title and somewhat low mileage (106,000) for a 1990 Bronco. This California fullsize does have a bit of a problem in that the 351ci Windsor is said to have a blown head gasket. Depending on the severity of the damage or how soon it was caught, this can be a somewhat easy fix. This last-gen Bronco has great aftermarket support and sturdy frame to build off of. While the Ford 8.8 rear axle is OK, the twin-traction beam Dana 44 frontend is an alignment nightmare. Since I don’t live near a desert to go fast (something the TTB frontend handles well), I would plan on swapping out both the axles for a stout set of 1-tons. At the very least, I would ditch the TTB 44 front. See the full listing here: http://ow.ly/OWgS4 Please note than I, nor Driving Line, is in any way affiliated with any of the vehicles for sale. Each vehicle was found by using eBay Motors and its search feature, which focused on 4x4 vehicles with clear titles, listed for less than $5,000.